Just a few days ago, Ground Zeroes, the first part of what will be Metal Gear Solid V, hit consoles. Being the Metal Gear fanboy that I am, I figured I had to pick it up. In Ground Zeroes, you play as Big Boss as you infiltrate Camp Omega to rescue prisoners. Already one problem with the game is the story, or lack thereof. I haven’t played any of the handheld Metal Gear games, namely Portable Ops and Peace Walker. As a result, I really didn’t know what happened to Snake since the events of Metal Gear Solid 3, which was the start of Big Boss’ arc. Ground Zeroes did little to help by giving you a massive text dump expecting you to read that and build the game’s context up from there. I didn’t know the prisoners, both of whom were introduced in Peace Walker, at all or why saving them would make a difference. Ground Zeroes’ gameplay is a refreshing mix of old and new. Many of the gameplay features return from Metal Gear Solid 4, only with additions that make sense in a modern game. Gone are rations. Instead, Snake regenerates health like the main characters of most modern action games. There are also a lot of nice touches like Snake rolling on his side when aiming your gun at a target to your side while crawling instead of magically spinning around to face his target. Close Quarters Combat also feels a lot more intuitive than it did in past games partly because the game gives button prompts showing what you can do once you grabbed an enemy. What I never liked about Metal Gear Solid 3 was how I would often slit a guy’s throat by accident when I meant to interrogate him, and the Metal Gear games continued to improve upon the general control scheme with each iteration. What is most talked about in the case of Metal Gear Solid V: Ground Zeroes is the open-world gameplay where you can infiltrate this camp however you want in order to rescue the prisoners however you want. I would be more impressed if the game didn’t end just when I was beginning to get a feel for it. 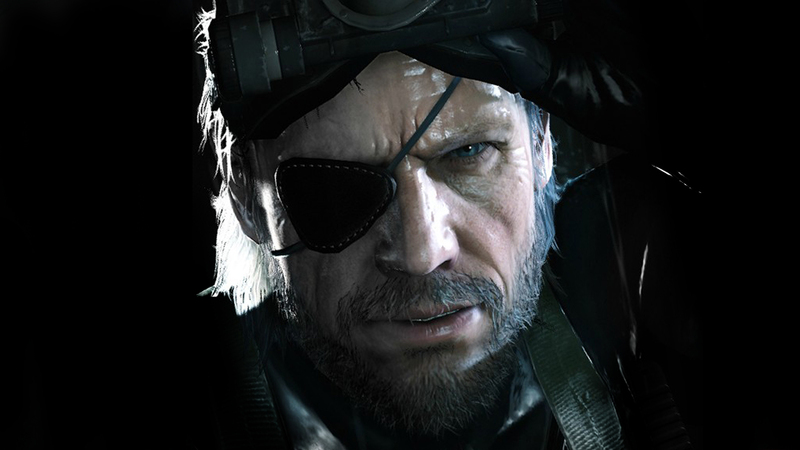 Metal Gear Solid V: Ground Zeroes is basically the most hyped up demo in existence. Sure, there is a nice handful of Side Ops that get unlocked when you complete the main campaign, but that campaign took me about 93 minutes to complete on the Normal difficulty setting. That 93 minutes included dying a handful of times and, as a result of the open-world structure, actually getting lost at one point when you’re supposed to use audio clips recorded on a cassette to find someone. I am aware the whole point of Ground Zeroes is to whet people’s appetite for the full Metal Gear Solid V: The Phantom Pain. However, I do feel $30 is a little steep for a demo. I knew the experience would be brief, but I didn’t think it would be that brief. My other complaint is the voice acting, more specifically that of our hero Snake/Big Boss. As many of you know, Kojima Hideo made the very controversial decision of casting Kiefer Sutherland as Snake, replacing long time lead voice actor David Hayter. Kojima claims it’s because Sutherland can more convincingly play someone who is as old as Snake, but I have a hard time buying that considering Ohtsuka Akio still voices Snake in the Japanese release of the game, and David Hayter convincingly voiced Old Snake in Metal Gear Solid 4. Old Snake was biologically a lot older than Big Boss in MGSV. Quite simply, Kiefer Sutherland isn’t David Hayter. He is yet another example of why screen actors don’t always make the best voice actors as his chewing up of Snake’s words is actually rather painful to listen to. In general, my opinion of Ground Zeroes is more closely aligned with that of Electronic Gaming Monthly, which appeared to have written the only negative review of Ground Zeroes. I honestly would have been ok without this game even existing and just waiting for the full release of MGSV. As a student, $30 is a pretty non-negligible amount of money to drop for a game that is less than two hours long.